Transaction is a logical unit of work in a database. Every individual DML statement is an auto commit transaction. (b) Commit: update operation is saved. (c) Savepoint: Savepoints are like a paper markers used to divide the big transactions into smaller transactions. 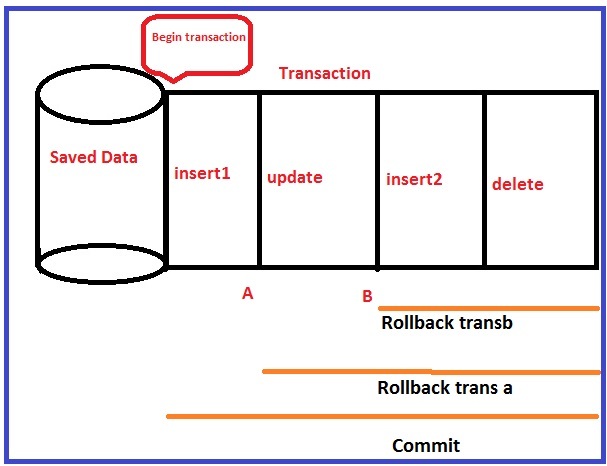 When implicit transaction is on automatically server will issue the begin tran statement before executing the DML statement. Then DML operations can be committed or rollbacked by users. --update operation will not be cancelled.